It has been recently noticed an increasing number of conference invitations to several stakeholders with regards to Agroecology issues. These conferences display impressive titles such as “International Conference on Agroecology and Organic Farming” or “International Conference on Agroecology and Crop Science”. 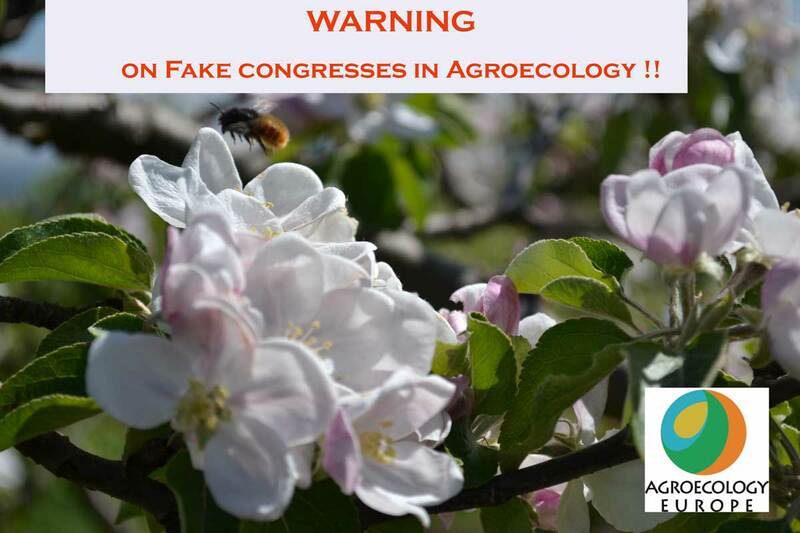 Agroecology Europe would like to warn on these fake or otherwise called “predatory” conferences. These titles refer to events organized by for-profit companies who abuse the eagerness of academics and early-career researchers to publish. These companies publish often funnel-accepted papers into known predatory journals, or never publish a conference book of proceedings at all. We largely discourage anyone having accepted such an invitation from responding to the call or disseminate it. We would also like to discriminate these invitations from our forthcoming event, entitled “2nd Agroecology Europe Forum”, to be held in Heraklion, Crete, Greece, in September 26-28, 2019 as a main event with regards to Agroecology at European and international level.